Hop on over to Del Amo Fashion for Easter celebrations and activities featuring the Easter Bunny. South Bay families will have the chance to participate in traditional and unique seasonal events including the Easter Bunny Photo Experience, Pet Photo Nights, Caring Bunny and an Easter Eggstravaganza. The Bunny Photo Experience begins March 29 and runs through April 20. 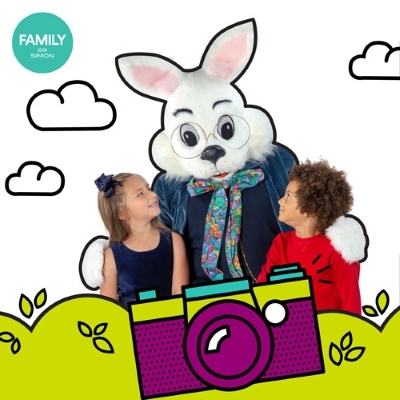 Children will have the chance to visit with the Bunny and take home a treasured snapshot of the fun occasion. Reserve FastPasses and skip the line by visiting www.simonbunny.com. Turning off in-mall music, stopping escalators located near the photo set, dimming the lights and shutting down fountains for the duration of the event. Eliminating queue lines through the use of a numbering system whereby guests approach the set when their number is called. Special activities geared toward the needs of guests during the ‘wait’ period. The center’s Bunny Photo Experience will also share the heart of the Easter Bunny by collecting donations for Autism Speaks throughout the season. 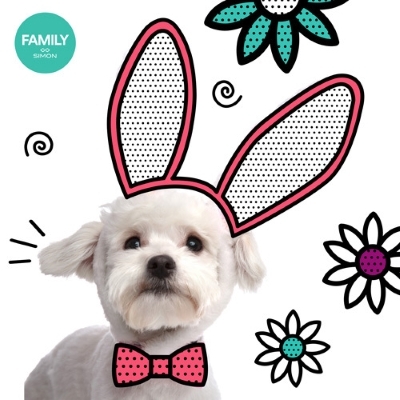 The popular Pet Photo Night returns to the Easter Bunny Photo Experience on March 31 and April 14 from 6 to 8 p.m. Pet Photo nights are hosted after regular mall closing and the set gets an extensive cleaning following the event to remove any potential risk to allergy sufferers. On April 13, the center will host their annual Easter Eggstravaganza. From 12 to 2 p.m., the center’s Outdoor Village will transform into a spring activity zone with Easter-themed arts and crafts, a bunny petting zoo, sweet treats, lawn games and more. Families are encouraged to stop by the mall early for an Easter Egg Hunt. In addition to their Easter Eggstravaganza, the center will host a Disney Jr. Playdate on April 13. Sing-a-longs, crafts giveaways and more based on Disney Junior will be held on the Outdoor Lawn from 12 to 2 p.m.